Look around you and chances are you’ll notice that Canada’s population, along with the rest of the world, is aging rapidly. While this isn’t news for most of us, it’s certainly becoming a popular topic, with the first wave of the infamous Baby Boomers turning 65 next year. They say “time flies” but this generation’s flight time will result in a heavy impact. Aging affects us all and the aging of our society presents a sobering challenge. Within the next 10 years, Canadians over the age of 65 will outnumber those under the age of 15. If the present yearly growth in life expectancy continues through the 21st century, most babies born after 2000 will celebrate their 100th birthdays. Falling birth rates plus people living longer equals pressure on everything from labour markets and health care services, to community and family caregivers. While medical and other technological advances will enhance our life expectancies, the sheer number of people suffering from chronic, debilitating conditions will grow dramatically. The World Health Organization predicts a rise in cancers, coronary heart disease, diabetes, dementia and other illnesses related to aging. The social consequences are far more insidious: marginalization, isolation and loneliness leading to an increase in mental health problems. All of this escalates pressure on in-home care, hospitals, nursing and residential homes and our society as a whole. The challenge is clear. This impending demographic shift represents a “moonshot” – a seemingly impossible mission that requires an intense, focused, collaborative effort among a large number of diverse players, who collectively hold the launch key. As Apollo 11 celebrates its 40th anniversary this year, we are reminded of how the challenge of landing on the moon captured the world’s imagination and showed us what could be achieved by connecting aspiration and advanced technology. Perhaps more amazing, however, is the collaborative effort required by government and an estimated 12,000 contractors – involving an astonishing 400,000 individuals – that contributed to the success of this mission. reinvent how we view the human capital contributions made by a healthier and autonomous aging population. As an innovation hub focused on science, technology and social impact, MaRS has an important role to play in this mission. While we have been working on many aspects of the aging challenge with our partners and entrepreneurial clients, it is now time to bring the larger community together with leading experts and industry professionals from around the world to better explore the profound public policy challenges, as well as a myriad of market opportunities associated with this demographic phenomenon. It is time to create a meaningful dialogue between these stakeholders, to build a shared awareness of our social and market-driven challenges and to design an action agenda to position Ontario as a world-leading innovation jurisdiction in aging. This will, first and foremost, benefit the aging population of Ontario and their families. By leading the way at home and developing solutions for the world’s aging population, we can also make a significant contribution to Ontario’s future economy. 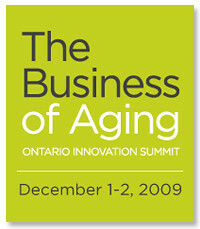 On December 1-2 MaRS will host the Ontario Innovation Summit: The Business of Aging in partnership with the Government of Ontario. This event will feature top experts focused on the many issues that the aging of the global population poses for communities, governments, academic and health care institutions as well as businesses. With a mix of keynotes, cross-functional workshops, industry panels and an Ontario innovation solutions showcase, the Summit has been designed to create an engaging dialogue between accomplished thought leaders and innovators who understand key elements of the aging challenge. The Summit will be the foundation for a public policy working group and will establish a framework for identifying and developing leading aging-related innovations from around the world. 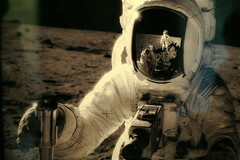 As a special guest at the conference, we will also host Apollo 11 Astronaut, Dr. Buzz Aldrin. Celebrating his 80th birthday in January, he remains a powerful voice for seniors. More importantly, as an accomplished, iconic figure in our history, Dr. Aldrin’s story provides inspiration for a new generation of innovators who must make a focused commitment to an aging society. I hope you will join us on this journey as we put our science, technology and social innovations to work for Ontario and our world.